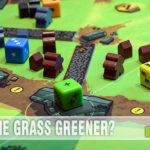 Home / Recreation / Games / Sutakku – Gesundheit! One of the great things about the Chicago Toy & Game Fair is you get to see and try out games that you won’t find in your local Walmart or Target. 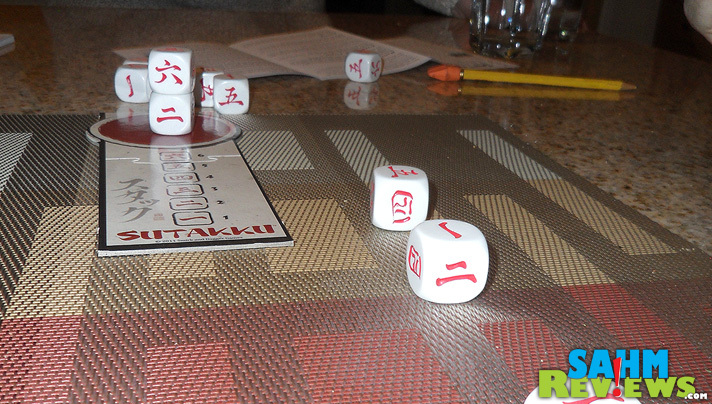 In 2012 we picked up a copy of an unassuming dice game called Sutakku. We did get a brief introduction to game play at the booth, but among the noise and crowd it was difficult to really digest in a short period of time. Once we got it home we realized the portable nature of the game (which consists of only a bag of custom dice, a scoresheet pad and a cardboard playing field) was perfect for our annual trip south for the holidays. We spent the better part of an evening trying it out – over and over and over again! The game is played in rounds and the player with the highest score after five rounds is declared the winner. Each round you’re trying to create the tallest stack of dice among the other players. During each turn you grab three dice and roll them. Then you must decide which TWO dice you are going to add to the stack. You must stack them in numeric order with the lowest going first (don’t worry, there is a handy key in the instructions to help you make heads or tails of the Japanese characters). You can only stack numbers equal to or greater than the number below it. Obviously rolling pairs gives you great advantages as you can in theory stack them up forever if you consistently roll the same numbers. It also triggers a special rule allowing you to add the third die to the stack if it is playable and you choose to do so. 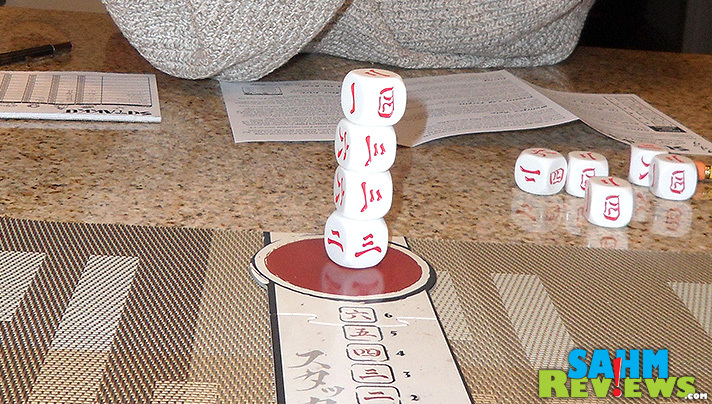 There is no penalty for knocking the stack over, but be sure to take mental note of your dice so you can recreate it if necessary. If you roll something that cannot be played (for instance you roll all 2’s and your top die is a 4), then you bust and receive no points. If you elect to stop your turn before your roll, you add up the number of dice in the stack and multiply it by the face value of the top die for your score. Play continues on with a fresh stack for the next player. Lastly, there are some bonus points awarded for certain achievements such as “The Rule of 5”, “The Rule of 6”, “The Tower of 12” and “The Stonecutter’s Folly”. What do all of these mean? You’ll have to buy the game for yourself to find out! 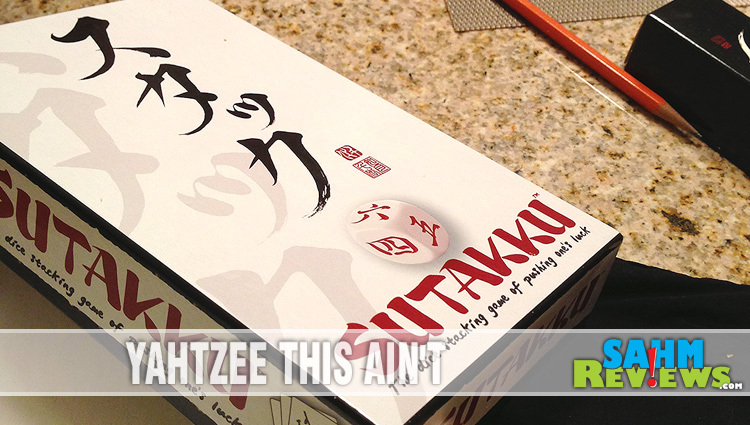 Ultimately we found Sutakku to be a great party game with good replay value. It takes a good bit of luck and some mathematical strategy to be proficient at it, perfect for a drinking game if you’re the sober one! Find out more about Sutakku on their official website or by liking them on Facebook. 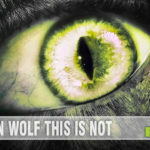 If their other games are as engaging as this one, we look forward to trying them out! This looks like a really fun game. I appreciate it is family friendly. This looks like a fun game. And it would be a good way to reinforce math with my daughter while having fun! My husband would really like this. He loves math games. I can definitely see Hubs and my older kiddo having a blast giving this game a shot. They love anything with analytic thinking and challenges. I love board games! I get together with some members from my church ne night a week. I think this is a game we could check out! We love having game nights. I had never heard of this one. THanks! Fun! 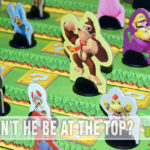 We do lots of board game nights with friends with games that arent your average Monoply! I’m a huge game fan! 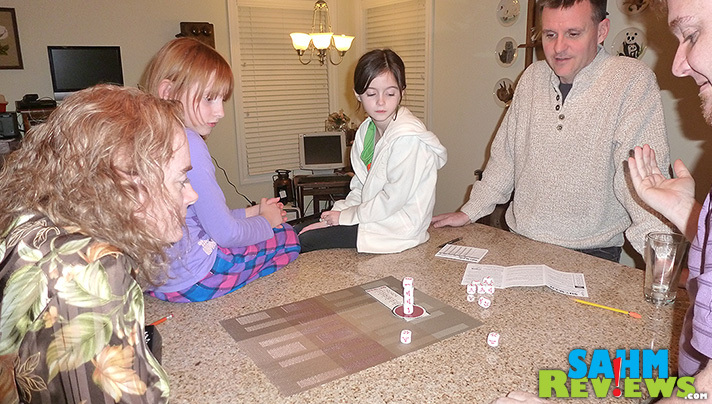 This sounds like an awesome and fun twist on Farkle! That looks like fun and I like that it requires a little strategy. This looks like a fun game to play with the family, great to add into our family night! What a fun game! I need to try this for family night! That game looks like a lot of fun, as opposed to board games that leave me…bored! After some learning this seems like a great game of logic and numbers. Learning how to enjoy it with your family is great, even enjoying a new culture. That would be a great gift for this gal I know who is majoring in Japanese! This looks like a really fun game to play, I haven’t seen one like this before! I love to find unique items you can’t find at the big box stores! I think my kids would love to play Sutakku! I saw this at ChiTAG and was tempted to get it. I didn’t, but I think I’m sorry about that now. We love playing games as a family and this one sounds like a fun one. Looks like a challenging one! Sounds like fun for family game nights. Love the Chicago Toy & Game fair. So bummed to have missed it this year. I love games. My family has enjoyed family nights for years! I would love to go to the Chicago Game and Toy show! My husband and I used to play games all the time. Not so much anymore, but you are inspiring me! I think the Toy and Game fair would be so much fun to attend! This looks like a great family friendly game. 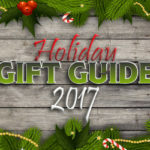 We are always looking for new family friendly board games. I’ll have to keep my eyes open for this! Thanks for the review! Friday nights is game night in our home. This sounds like a game my husband and I would love. You’ve really been sharing some neat new games here lately. That sounds like a good game for families who like to use strategy to prove who is the smartest. Sounds like a fun party game! One of our favorite games is Fill or Bust. This game sounds similar. During the snow today, my girls and I played a game to pass the time. This looks like a good one to add to your collection. we have this game. Its so fun! This looks like a really fun game! We love family game night. Looks like a fun game! Something to play with the whole family and that would make you think too. I love playing games. This sounds like a lot of fun. Thanks for sharing! I’m going to be searching for this game now. We are always looking for new games to add to our game nights, and this looks like one that even the younger boys would enjoy! Looks like such a fun game. I cannot wait to try it. This sounds like a fun game. I bet my kids would to add this to family movie night. I love dice games. This one looks like it would be great for the kids too! Thanks!